I think we know how the sad story turned out. So I've been putting some of the text from the papers of the War Dept. into search engines and I found this, The speech of the Cornplanter and New Arrow to Major General Wayne, Chinuchshungutho, 8th December, 1792. We thank the Great Spirit, that we with the rest of our chiefs, who were at council, have again arrived safe at our towns. According to the promise of our chiefs, made last winter in Philadelphia, we have been to council with the hostile Indians, to endeavor to bring them to a peace. After we arrived at their towns, and had acquainted them that it was the wish of General Washington to be at peace with the whole of the Indians, even those from the rising to the setting of the sun: after they had considered, they all, as one, agreed to make a peace: but as General Washington did not let us know the terms on which he would make peace, it was referred to a council the ensuing spring, where they wish he should be present.. They wish it to be considered that they were the first people the Great Spirit seated on this island, for which reason we look on the Americans as children, to call them our younger brethren. Timothy Pickering and "The Great Spirit"
I've noted many times before how George Washington, Thomas Jefferson and James Madison, when speaking to unconverted Native Americans referred to God as "The Great Spirit" exactly as the Natives did, which suggests a very generous almost universalistic ecumenicism. I'm not sure how compatible this is with "orthodoxy." There is a school of hard orthodoxy which suggests non-Christians believe in false gods, and consequently, the "Great Spirit" is a false god, or even a devil. On the other hand, there is Acts 17-23. I'm interested in more of the comprehensive uses of the term the "Great Spirit" when the Founders spoke to unconverted Natives, and how such squares with orthodox or heterodox theology. One of those documents is "Colonel Pickering address to the Senekas and their Chief mourning the death of Farmer's Brother's Son." Timothy Pickering, we know, was a unitarian; he was heterodox. I have a hypothesis -- one I'd like to falsify -- that you'll see more "Great Spirit" talk by the heterodox as opposed to orthodox figures. But anyway, putting those relevant terms into a search engine I did find this page which quotes Col. Pickering's Great Spirit talk to the Natives. "Brothers, sachems, chiefs, and warriors of the Six Nations, I bid you a hearty welcome to this council fire, and thank the Great Spirit who has brought us together in safety, though I sincerely lament the cause of our meeting. I mean the murder of our two brothers of your nation at Pine creek." "Brothers, you now see my commission, which has been read and interpreted, that according to my letter to you, I was appointed to wash off the blood of our murdered brothers, and wipe away the tears from the eyes of their friends, and that this occasion was to be improved to brighten the chain of friendship between you and the United States. "Brothers, you said the hatchet was yet sticking in your head. I now pull it out. I have now met you to wash off the blood of the slain, and wipe away the tears from the eyes of their friends; and, as a token of friendship and peace, and of the perfect security with which we may confer together, I now present you these strings." "Brother, we thank the Great Spirit, who has appointed this day in which we sit side by side, and look with earnestness on each other. We know you have been long waiting for us, and suppose you have often stretched up your neck to see if we were coming. "Brother, we sent your letter to the Grand river by the Fish Carrier, and we have been waiting for its return, but it has not yet come to hand, and therefore we cannot yet properly enter upon the business. We must wait two days for the arrival of the Fish Carrier, or to hear from him. But, in the mean time, as the letter has not come back, we desire you to accept this belt as a pledge." "Brother, we are happy to see you here, for which we thank the Great Spirit. "Brother, you say you are not acquainted with our customs. "Brother, we are young, but we will describe the ancient practices of our fathers. The roads we now travel were cleared by them. When they used to meet our brothers of Pennsylvania at Philadelphia, our brothers not only pulled the hatchet out of their heads, but buried it. You say you have pulled the hatchet out of our heads, but you have only cast it behind you. You may take it up again. "Brother, while the hatchet lies unburied we cannot sit easy on our seats. "Brother, from the time we made peace with the United States, we have experienced troubles more than before. The United States have also had their troubles. "Brother, we now hear General Washington, the great chief of the United States, speaking to us by you, and hope our troubles will now have an end. But our eyes are not yet washed that we may see, nor our throats cleared that we may speak." "Brothers, you say I have only pulled the hatchet out of your heads, and have not buried it, and while it is unburied you cannot sit easy on your seats. "Brothers, in declaring that I pulled the hatchet out of your heads, I meant to comply with your own demand to the president and council of Pennsylvania,* which was that he should come and pull the hatchet out of your heads. However, to give you entire satisfaction on this point, as the hatchet is already pulled out of your heads, I now bury it, and pray God that it may remain buried, and that its sharp edge may never more be seen. "Brothers, the United States has no wish but to live with you as brothers in perpetual peace. "Brothers, I now wash off the blood of your murdered brothers, and the tears from the eyes of their friends." "Brother, you have now taken us by the hand, and washed our eyes; our women expect that you will show them equal attention. They are here, waiting your invitation, to receive the same tokens of your friendship which the last evening you gave us. Perhaps in taking them by the hand you may see one who will please you." "Sisters, I am very glad to meet you here. I have seen a great many excellent women of various complexions, and doubt not such may be found among you. I invite you to my quarters, where we may eat and drink together in friendship. I now take you by the hand as my sisters." I then went round, and shook hands with every woman present. At American Creation we haven't paid much attention to Charles Taylor and his book on secularism, about which I will have more to say later. Timothy Pickering was an important, but non-key Founder. I pointed out his unitarianism here. Unitarianism didn't seem a partisan political theology. Federalists and Democratic-Republicans were both unitarian and orthodox. Though unitarians tended to be more drawn from the elite leadership. Pickering was a Federalist ally of J. Adams, serving in his cabinet after serving in Washington's. Then apparently, had a falling out with Adams (see the Wiki). As a Federalist, he may have had some issues with Jefferson. Long story short, years later, he rekindled his correspondence with Jefferson and used his "unitarianism" as a bridge. He sent Jefferson a copy of William Channing's sermon, that Jefferson apparently had already read. You can read Jefferson's response to Pickering here where Jefferson proudly identifies as a unitarian, favorably cites Channing along with Joseph Priestley and Richard Price, and of course, slams the Trinity. Less well known is Pickering's initial letter to Jefferson which you may access here and which I below reproduce in its entirety. "But absurdities in relation to Christianity are not confined within the pale of the Church of Rome. There are some doctrines taught in Protestant churches, in Europe and America, so repugnant to the ideas I entertain of the perfect wisdom, justice, and benevolence of the Deity, as to authorize the opinion that they could not be the subjects of a divine revelation. I have not found them in the books said to contain such a revelation, and I long ago renounced them. They constituted parts of parental and school instruction from my earliest remembrance; but I never taught them to any of my children. I believed them implicitly till I was of age to think and inquire for myself; and one other doctrine to a later period, that of the Trinity, for I had not heard it called in question in any pulpit, and books on the subject had not fallen in my way. Few, indeed, who can read and understand theological controversies allow themselves time to investigate the merits of the questions involved in them. Official and professional duties occupy the attention of most, and, of numbers of the remaining few of educated men, science, and the general pursuits of literature, engross the leisure hours. Some of these to whom doctrines are presented for religious truths which shock their reason, taking them without further inquiry to be the Christian system, they reject this as an imposture." "I take the liberty, Sir, to send you Mr. Channing's sermon. Whatever you may think of his views of Christianity. "I am sure that the firm and energetic avowal of his opinions, his candor, his ingenuity, and the elegance of his composition, will fully compensate you for the time you shall spend in its perusal. "You cannot be uninformed of a prevalent opinion among your fellow-citizens, that you are one of the learned unbelievers in revelation. Your 'Notes on Virginia' contain expressions which, if they did not originate, have served to strengthen, that opinion. You know the influence of a distinguished name over the minds of its warm, and especially of its youthful, admirers; and should you become, if you are not now, a believer, you will deeply regret the effects of that influence. You can entertain no doubt that, eighteen hundred years ago, there appeared in Judea an extraordinary person, called Jesus Christ, the founder of a sect which, after him, were called Christians; for Tacitus, Suetonius, and the younger Pliny speak of him, and of his sect. You also strongly appreciate the moral precepts purporting to have been delivered orally or in writing by Jesus, and by some of his followers who professed to be ear and eye witnesses of his words and the wonderful works ascribed to him. You have called the religion described in the records of those witnesses our 'benign religion;' and could you banish from your mind the recollection of the strange tenets which have been grafted upon that religion, and examine its history and unsophisticated doctrines with the same unbiassed disposition in which you read the histories and other writings of celebrated Romans, you might not think them unworthy to be believed by the most enlightened minds. Certainly, no one can think himself justly exposed to the charge of credulity for entertaining that religious'faith of which Boyle and Locke and Newton were sincere professors. "A letter from me, unless on business and the common occurrences of life, you would not expect; for to literature I have no pretensions, and in politics we did not agree; but I can disapprove of the principles and oppose the measures of men in public stations with an entire exemption from unkind feelings towards them as individuals. By some I have been injured; but I am not conscious of entertaining a particle of resentment or ill-will towards any human being. In all his imitable perfections, Christians believe it to be their duty to imitate God, ' who' (St. Paul saith) 'will have all men to be Saved, and to come unto the knowledge of the truth.' In this spirit, and in the simple style of antiquity, I bid you, Farewell. It seems Pickering was concerned Jefferson wasn't a "Christian" and, were he not, was trying to persuade him to convert to pious unitarianism. He basically said, "hey I think the Trinity is an imposture too, but that doesn't stop me from being a devout Christian." Don't throw the baby out out with the bathwater. But is the Trinity the baby? Do We Call This a Reverse David Barton? From the Economist. Another from Jeffrey Goldberg. Sullivan again. And from Daniel Larison. Ed Brayton has the details here. The additional problem with religious proof-texting is that it fails to explain the role of religious discourse during the founding period and early nineteenth century. As stated, religious rhetoric and imagery were ubiquitous in speeches and other writings because the Bible was one of the few generally available books. The narratives and allegories of the Bible were the stories that were most familiar to people. Unlike today, a person’s use of religious rhetoric during the eighteenth century tells little about his or her own religious devotion. That religiously heterodox figures such as Benjamin Franklin, Thomas Jefferson and Thomas Paine employed religious language should warn against drawing conclusions about a Founder’s personal piety from his statements. Here. Andrew Sullivan reacts here and here. Very interesting outside the box thinking from an anti-statist evangelical. We also hear that the USA was founded "as a Christian country," and I remember hearing a talk from someone who believed that had the authors of the U.S. Constitution made it clear that this country was "Christian," that somehow things would be different today. That really is nonsense; for that matter, a number of European countries at one time officially were "Christian" nations, and today none of those things matter, as no place in the world is as secular as Europe today. However, the connection between historical Christianity and the effect it should have upon the actions of those that govern us was changed permanently in the United States during the 19th Century, first with Unitarianism and then with Progressivism. The political actions of both liberal and conservative "evangelicals" today are reflective of the secular, state-embracing political philosophies that rose during the 1800s and early 1900s, not the Christianity that was practiced by the Early Church, and certainly not of the Bible. I cannot emphasize that point enough. When American evangelicals launch campaigns to deal with attempts to outlaw the "under God" portion of the Pledge of Allegiance, they are not preserving religious freedom, nor are not paying homage to the ideals of liberty that inspired many of the founders of this nation. Instead, they are endorsing a pledge created by a socialist who despised the founders of this country and who hated the views that the framers of the U.S. Constitution had on law and the state. Indeed, the Pledge of Allegiance is the antithesis of all of those ideals upon which conservative evangelicals claim to be supporting and it is collectivist and Progressivist to the core. Yet, because it has the phrase "under God," Christians are willing to engage in what only can be idolatry and pledge their troth to another god. Having grown up in the conservative evangelical subculture and still being part of it, I have picked up some insights as to why people who believe in God and who hold to the inerrancy of the Bible have sold out to the State. The answers are more complicated and nuanced than one might expect to read in a publication like the New York Times, which treats evangelicals as though they were alien invaders who have no right even to exist in our society. Because I am dealing with the modern evangelicals, I will not cover the influence of the Unitarians of the 19th Century, except to say that they were part of nearly every major advancement of State power, including the public school movement in Massachusetts, and the Civil War. Certainly, by the end of the 1800s, the Unitarian influence began to wane, as theological liberalism took hold in the major Protestant denominations. I was thinking of writing this post only to see that I had already written it in 2009. I find it fascinating how (in 1728) Franklin, were he serious, thought a cold deistic all powerful God created the universe but that the warm theistic deity he would worship was the God of our solar system, created by the ultimate unknowable God. So maybe God the Father is actually a created being. That answers the "what caused Him?" question. Conservative evangelicals Bryan Fischer and the Reverend Robert Jeffress recently controversially suggested that Mormonism is not Christianity, but rather a false cult, and that "Christians" should factor that in when deciding for whom to vote for public office. Fischer and Jeffress stress Article 6, Clause 3 of the Constitution restricts government only from imposing formal religious tests. The point is true enough. Voters can vote for whomever they want, for whatever reasons, even very bad ones. However, in a nation founded on ecumenical and non-sectarian religious principles, imposing a strictly orthodox private religious test seems a bad idea. But both Fischer and Jeffress appeal to the American Founding for their stance. Hmm... Mitt Romney, as a Mormon, claims to be a "Christian" and accepts Jesus as the divine, resurrected Savior of mankind. So what is the problem? Space forbids me to detail all of the problems evangelicals have with Mormonism. But, at base, Mormonism denies historic orthodoxy as found in doctrines like the Nicene and Apostles' Creeds; to disbelieve in orthodox Trinitarianism, as it were, is to disbelieve in "Mere Christianity" as CS Lewis termed it. After the late Walter Martin, conservative evangelicals often term non-Trinitarian religionists, like the Mormons, Jehovah's Witnesses, and others, as "cults." Though the term "cults" was not used during the American Founding era to describe non-Trinitarians, the "orthodox" then (especially clergy) did regard these "heretics" as not "Christian." Or, if it were, the experiment failed from the start; the early American Presidents were not "orthodox." Most know that Thomas Jefferson, who served two terms as third President, was not an orthodox Trinitarian Christian. He did, interestingly, think of himself as a "Christian" while denying every single tenet of historic orthodoxy. Fewer know that John Adams too, failed, and to quote history professor John Fea's masterful new book on the Christian Nation controversy, "fail[ed] miserably" the test for Christian orthodoxy. Adams, who identified as a "unitarian" his entire adult life, bitterly mocked the doctrines of the Trinity, which he termed a "sacerdotal imposture," and the Incarnation, which he said "stupified the Christian World." And it's not as though George Washington and James Madison, respectively, the first and fourth American Presidents, the "father of America" and the "architect of the Constitution," were paragons of Christian orthodoxy. While not as overtly unitarian as the second and third American Presidents, Washington and Madison, from their own words, offer little to demonstrate their belief in Christian orthodoxy. Indeed, Washington's own orthodox minister, the Reverend James Abercrombie, claimed Washington's systematic avoidance of communion meant he was not a "real Christian" because his actions "disregard[ed] an ordinance so solemnly enjoined by the divine Author of our holy religion, and considered as a channel of divine grace." In all likelihood, the first American President who might pass Fischer and Jeffress's orthodox test for Christianity was seventh President Andrew Jackson! The early American Presidents were not perfect, but they well led the newly formed nation. Their example shows little connection between belief in orthodox Trinitarian doctrine and Presidential leadership acumen. Please keep that in mind when considering how Mitt Romney's Mormonism might impact his qualifications for the American Presidency. Thomas Paine was the Founding's most famous "deist-not Christian," but really, that's what he said, I kid thee not. You could look it up. In fact, I'll save you the trouble---I did a near-complete exegesis of Thomas Paine's famous "Common Sense" awhile back, almost line-by-line. "Common Sense" actually a short pamphlet, sold over 500,000 copies in the colonies to a population of only 2,500,000, and Lord knows how many other people read it---or had it read to them---as it was passed around. Megamax historian Gordon S. Wood calls it "the most incendiary and popular pamphlet of the entire revolutionary era," a rather modest claim. The funny thing is, it's not as Enlightenment as you might think from the Founding era's truest Deist; it's very Biblical. While it's true the colonists had many selfish economic reasons to favor independence---the "marxist" interpretation, if you will---it's pretty clear they needed to assuage their religious consciences that revolution was OK with God. "Even the distance at which the Almighty hath placed England and America is a strong and natural proof that the authority of the one over the other, was never the design of Heaven. The time likewise at which the Continent was discovered, adds weight to the argument, and the manner in which it was peopled, encreases the force of it. The Reformation was preceded by the discovery of America: As if the Almighty graciously meant to open a sanctuary to the persecuted in future years, when home should afford neither friendship nor safety." Divine Providence created America as a safe haven for Protestant dissenters? Yup. There you have it. But there it is, and there it was, in Paine's own words. Now relax, this isn't to say that the United States of America should be a Protestant Nation in 2011, or people thought that by the time they wrote the Constitution in 1787. I will betcha, though, that not one person in a 100 knows that Thomas Paine, the Revolution's most famous deist, was saying it in 1776, in the most famous and popular essay of his times. Because I didn't know, until I read the damn thing for meself. Read the whole thing here for yrself, or peek at this annotated version. History isn't dead, it's alive, if you dog it a little on your own. John Jay's correspondence is available at Liberty Fund. There is a lot of great stuff there. Jay is a Founder, generally conceded as orthodox Christian. And he does offer some quotations that sound "Christian Nation" like. Certainly, Christian Nationalists have used (abused?) those quotations from Jay. Rev. Robert Jeffress recently used Jay's quotation to justify why he would vote for the "Christian" Rick Perry over the "non-Christian" Mormon Mitt Romney. John Jay was a lifelong Anglican, a church warden, and was involved in the reformation of Anglicanism to Episcopalianism. While investigating the exact religious beliefs of as many American Founders I could, I began to think very hard about the concept of creedalism, and that various Founders, in some way affiliated with churches connected to doctrinally orthodox creeds, could disbelieve at least some of what their churches officially endorsed. In this debate over who exactly believed what, we look for smoking guns to "settle" the issue. Some use, in the absence of smoking gun quotations, formal affiliation to churches and their official doctrines, as shorthand for what exactly a Founder believed. Indeed, if one held an official position in said churches -- church warden, vestryman, godfather, etc. -- then one probably DID swear and oath to said church's official doctrines. Enter the concept of an "Anglican Whig." According to Anglicanism's official doctrines, the King of England was both head of church AND state. And when Anglican church MEMBERS swore oaths they swore to remain loyal to the Crown. There was a term for the oath and doctrinal fundamentalists in the Anglican Church in late 18th Century America: Tories. In order to claim America's Founders as orthodox Christians via their church affiliation, Christian Nationalists have to turn them into oath fundamentalists and argue something like if you are not an oath fundamentalist, you are a liar or a hypocrite. See for instance, Christian Nationalist Richard Gardiner making this argument. "In forming and settling my belief relative to the doctrines of Christianity, I adopted no articles from creeds, but such only as, on careful examination, I found to be confirmed by the Bible." "No creed but the Bible" may make Jay sound like a good late 18th Century Quaker, but it does not represent what orthodox Anglicanism or Episcopalianism stood for at that time. Anglicanism, and then Episcopalianism, in its official doctrines endorsed not just "the Bible" as revelation, but also the Athanasian Creed and 39 Articles. It appeared to me that the Trinity was a Fact fully revealed and substantiated, but that the quo modo was incomprehensible by human Ingenuity. According to sundry Creeds, the divine Being whom we denominate the second Person in the Trinity had before all worlds been so generated or begotten by the first Person in the Trinity, as to be his coeval, coequal and coeternal Son. For proof of this I searched the Scriptures diligently -- but without Success. I therefore consider the Position of being at least of questionable Orthodoxy. The good Reverend is entitled to his opinion; but his religion is NOT the political theology of the American Founding and does not well mix with American politics, certainly NOT the American Presidency. 3. And become thy dutiful children and faithful subjects. 4. May thy laws be obeyed on earth, as perfectly as they are in heaven. 5. Provide for us this day, as thou hast hitherto daily done. 6. Forgive us our trespasses, and enable us to forgive those who offend us. 7. Keep us out of temptation, and deliver us from evil. Taken from In God We Trust: The Religious Beliefs and Ideas of the American Founding Fathers, edited by Norman Cousins (Harper & Brothers: 1958), pg. 21. I remain skeptical of the Catholic project of rehabilitating the Constitutional text in the hope of defeating the individualism and other excesses which many lament as a cancer on society. At the same time, an “originalist” approach to the Constitution is probably more likely to yield results favorable to traditionalist Catholics than otherwise. This is mainly because the Constitution, according to most originalists, does not contain binding prescriptions on many of the hot-button social and moral issues which concern Catholics. The “original Constitution,” generally speaking, leaves more room for the states to experiment and could, in theory, give rise to the type of localism which many traditionalist Catholics believe to be, on the basis of Catholic Social Teaching, more legitimate than our current, centralized form of government. But all of this still falls far short of turning the U.S. or any of its states into a confessional stronghold. Despite revisionist claims to the contrary, America was never on the verge of becoming a “Catholic country.” That fable, which seems to have some purchase amongst certain traditionalists, is more often deployed to decry Vatican II than paint an accurate picture of historical reality. The post also has a delightful little dig at libertarian constitutional theory at the end, which I consider an added bonus! Well worth a read. That I dealt with Robert Jeffress back in 2008 here. There have been lots of reasons offered by economic historians for this transformation, but these have all been called into question by economic historian Dierdre McCloskey, who began working on this issue as Donald McCloskey three decades ago. In a proposed six-volume set, The Bourgeois Era, McCloskey is exploring this question in detail. Two volumes are available. They have presented the problem. In volume 2, Bourgeois Dignity. McCloskey refutes the prevailing explanations one by one. Then what did it? McCloskey's theory, not yet proven: a change in attitude toward the legitimacy of wealth. This began in the 17th century in the Netherlands. (McCloskey speaks Dutch.) This spread to Scotland and England. I am partial to the thesis. I have believed it for at least 25 years. But there is a problem. What motivated people to change their views after – basically – the history of mankind? These were Calvinist societies in the 17th century. What changed in Calvinist theology in the century after Calvin? The 17th-century creeds did not change the theology. The Synod of Dort (1619) and the Westminster Assembly (1643-47) did not alter the old Calvinism. So, what was the crucial factor? I have a suggestion: their concept of the nature of God's kingdom on earth. The shift was to what is today called postmillennialism: the belief that the final judgment only comes after Christ's kingdom has filled the earth. This transformation involves compound blessings (Deut. 28:1-15) including economics. This was not held by Lutherans and 16th-century Calvinists. In both the Netherlands and Scotland, there were postmillennial theologians. But McCloskey's research challenge will be to see if the supposed shift in attitude toward business wealth was associated with this shift in eschatology. If there was no connection, then what was the source? Adam Smith's Wealth of Nations (1776) favored economic wealth. He was a Scot. He was a liberal Presbyterian. But McCloskey thinks the change in attitude preceded Smith by 150 years. Proof is scheduled for Volume 3. I await it with great anticipation. McCloskey became co-editor of the American academic journal, The Journal of Economic History, in the spring of 1982. Beginning 15 years earlier, the editor had been my professor, Hugh Aitken. I recall the evening in a graduate seminar, probably in 1966, when Aitken had posed the #1 question. How did the transformation happen? He said the scholars did not know. As far as I can see, they still do not know. Harvard historian Niall Ferguson has called the great transformation of the West the great divergence. Asian nations had about the same wealth per capita as Western nations in 1800. By 1900, the two societies diverged greatly. This continued until 1970, he argues. I don't believe any of this. That is because I have read McCloskey's two volumes (twice). McCloskey refutes them all, plus a dozen more. Even the executive oath, explicitly prescribed in Article II is devoid of any religious litmus. “So help me God” was first affirmed verbally by George Washington and since repeated as customary tribute to our first President. Currently, as far as one can determine, the practice of adding a religious codicil, "since repeated as customary tribute to our first President," never became an infused part of our national consciousness until January 20, 1961. Competent researchers at the Papers of George Washington (Ed Lengel), the Documentary History of the First Federal Congress Project (Charlene Bickford), and the Library of Congress are on record as saying that there is no contemporaneous evidence showing that George Washington added "So help me God" to his oath of office. This unsubstantiated notion that Washington added "so help me God" made its debut sixty-five years after the event (1854) with the assistance of "Reverend" Rufus Wilmot Griswold. It is possible, Griswold may have picked up parts of his inaugural narrative from a prior conversation he had with Washington Irving. And, as expected, three years later (1857), when Irving wrote his five volume biography of George Washington he repeated the "So help me God" tidbit without citing a personal recollection or identifying a possible source. For those who still rely on Washington Irving's six-year old so-called "recollection" of the event, they ignore the fact that Irving shows absolutely no credibility because the bulk of his inaugural narrative was plagiarized from the Memoir of the Life of Eliza S[usan] M[orton] Quincy (see footnote at bottom of page 52). The fact is that most presidents are not known to have added "So help me God" to their oath, and according to the historical record there are very few instances where there's any cause for doubt. The first president who is known to have included a religious tagline as part of his inaugural ceremony is Chester A. Arthur who on 22 September 1881 was sworn in as president after the death of President Garfield. We have to wait until the first part of the twentieth century before we can find an example where an elected president took up this extra-constitutional practice. In 1929 President Hoover was the last president who stayed true to the presidential oath as prescribed by the Constitution. In 1933 FDR started the unbroken practice of adding "So help me God" to the presidential oath. Still, for all of this time, there's no known record of anyone trying to say that adding a religious codicil to the oath was a practice that started with George Washington. The words George Washington added were for all of us, in all times George Washington was a man inspired -- and his inspiration has come down to all of us, coloring the environment in which we live. 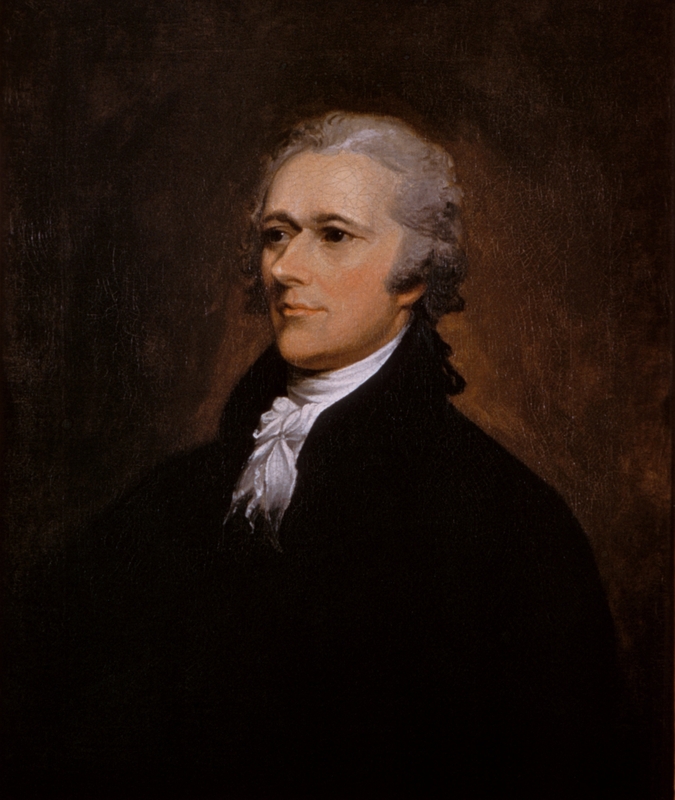 When he became the first President of the United States, he was called on to recite a formal oath of office. It obliged him to repeat these words: "I do solemnly swear that I will faithfully execute the office of President of the United States, and will to the best of my ability, preserve, protect, and defend the Constitution of the United States." Washington stood on a covered portico looking out over downtown New York, one hand resting on a Bible, and the other raised in the air. Dutifully he repeated these words, which over the years would become hackneyed, almost meaningless, with much repetition. Then he added words not in the script. After reciting the formal oath, he put in a short sentence of his own:""So help me God." Every President since has added those words. They have now become part of the ritual; and it is a good part, an essential part, pledging more than was originally intended when the oath was written. For Washington, taking on himself the immeasurable responsibility of guiding and leading the American people, looked into his own heart and found a need which he expressed in four words: "So help me God." He spoke not only for all future Presidents, but for the rest of us too. Saying those words, Washington spoke for all of us. Four years later (1961/1962), Philip B. Kurland synthesized the following gem: "There is hoary tradition for this: George Washington added the words 'so help me God' to his presidential oath and every successor has done the same." After that the "So help me God" myth became even more popular. Some commentators realized that there were some notable exceptions to the "every president" storyline (i.e. Franklin Pierce, Theodore Roosevelt, and Herbert Hoover) so they modified the "every president" claim to say "virtually every president," "almost every president," or "most presidents." Now, even if one chooses to say, "[succeeding presidents] repeated [So help me God] as customary tribute to our first President," that's still incorrect, because there's simply no way to show that Washington actually added those four words to his presidential oath. That Americans are entitled to freedom is incontestable on every rational principle. All men have one common original: they participate in one common nature, and consequently have one common right. No reason can be assigned why one man should exercise any power or preeminence over his fellow-creatures more than another; unless they have voluntarily vested him with it. - Alexander Hamilton (1775-1804), A Full Vindication, Dec. 15, 1774, published inThe Revolutionary Writings of Alexander Hamilton (Liberty Fund: 2008), pg. 6. Here are two great posts (note I'm cited in both) from Warren Throckmorton on David Barton's claim that the unitarians of the Founding era were "evangelicals." There is a lot of great primary source material cited. Unitarians of that era believed in something that evangelicals of today could only regard as a cult like heresy. But they were far more biblical and theistic than the UUs of today.